File this again under Things My Children Will Never Know! 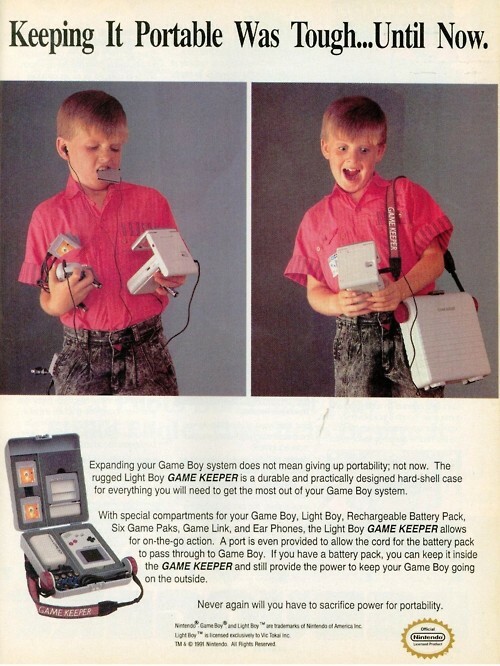 20 years ago kids, Nintendo put out a PORTABLE gaming system called Game Boy. And since the battery didn’t hold jack – they developed an intelligent way to maintain the battery… Yes, you carry around a big ol’ battery pack called the Game Keeper (as seen above!). Fortunately now we have iPods, Nintendo DS systems and what not. The Pinterest Daily Re-Pin is a daily series of something fabulous found on Pinterest. Follow me – leave your Pinterest link in the comments and I’ll follow you back. Need a Pinterest Invite? Let me know! Happy Pinning! Did You Have a Game Boy Growing Up? This internet site carries a very good offer of very good straight down to earth well getting information also it will require to hold out tremendously well, if it hasnt already? I liked studying about some while using products!